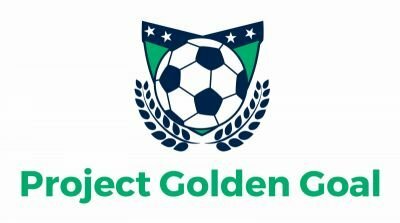 Project Golden Goal is a foundation that collects used soccer equipment as well as monetary donations and delivers it to children living in poverty to give them the opportunity to play the game. We collect all soccer related equipment as well as cash donations and then ship it to our many designated sites that we have determined to be in most need of the gear. The sites are located both within the United States as well as in other countries and change depending on the levels of supply and demand of the children living there. The primary mission of the Golden Goal charity is to give hope and opportunity to children who dream of playing soccer in places that lack resources or funds. This is the general list of the equipment we will be collecting. Project Golden Goal's first annual soccer tournament-style Fundraiser registration. The event will take place on Saturday, August 11th at the YMCA soccer fields at 67th Avenue. Beach United is a local partner who is helping us collect donations and providing advertisements for Golden Goal Foundation. Cameroon FDP is a youth soccer program based in Cameroon. We will be partnering with them to help make sure any child who wants to play the game has the chance. GOALS Haiti is a foundation in Haiti that is dedicated to the improvement of the lives of children through soccer. We will be partnering with GOALS to help with the shipping of our equipment to the children in Haiti. Sanctuary Strikers F.C. is a grassroots soccer club stationed in Ibadan, Nigeria that focuses on using the tool of soccer to reach out to youths from diverse background around their community. Soccer equipment can be donated at any of the three destinations shown below and monetary donations can be made to our gofundme account. All donations are greatly appreciated.